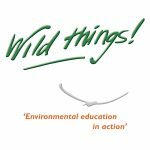 Home › Organisations › Wild things! Wild things! is an award winning environmental education charity working in Moray, Grampian and the Highlands. Since 2003, Wild things! has enabled over 10,000 children, young people and adults to learn from and be inspired by their local natural environment and the remote wilderness regions of Scotland. Our activities benefit the young (from 5 years) and the ‘not so young’. We work in partnership with a range of organisations providing extra support for young people considered ‘at risk’ or who are struggling within mainstream education as well as vulnerable adults.